Happy Thursday ladies! We are over halfway through the week! Whoo hoo! Guess what? We only have a litte over 7 weeks until football season kicks off! Where has this year gone? That means you have LESS than two months to start planning your gameday looks. 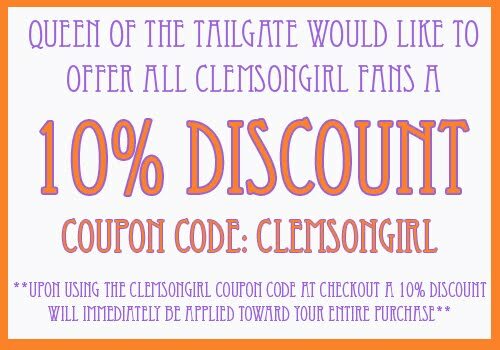 If you haven't already, check out the newest online boutique to cater to Clemson Girls - Queen of the Tailgate. The owner is a Clemson alum, so it's not surprise they have plenty of orange and purple fashion in stock. 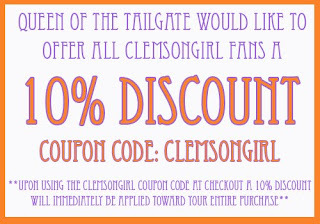 Queen of the Tailgate is generously offering all of you Clemson Girls 10% off of their total order! Sweet! 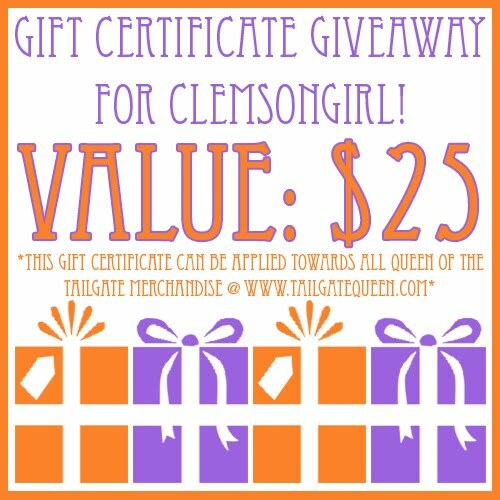 Just enter 'CLEMSONGIRL' in the coupon code field at checkout. 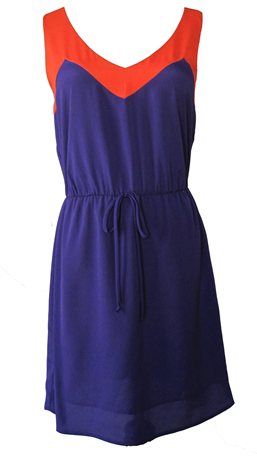 One of our fave looks from Queen of the Tailgate is this cute purple dress with orange neckline - appropriately named "Sideline Sweetheart Dress". This dress would be super cute for the opening game - and weather appropriate! Well...we thought that last dress was our fave. 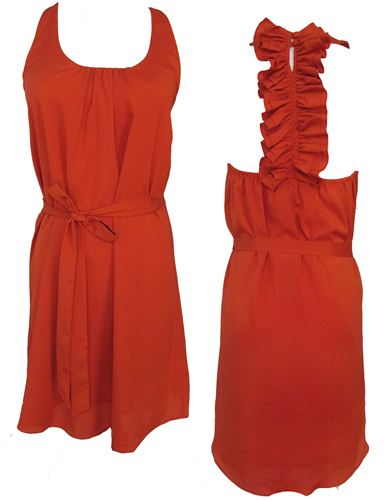 But we may change our mind - because how cute is this orange dress with the ruffle detail back? Love it! And don't forget to use accessories to spruce up your gameday looks. 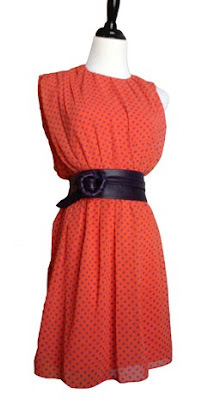 This cute orange dress with purple polka dots is that much more fashionable (and figure flattering) with this purple leather belt added. 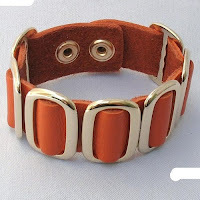 And speaking of accessories, one of the big trends right now is statement jewelry. I have had the hardest time finding orange statement necklaces that don't sell out before I can buy them. 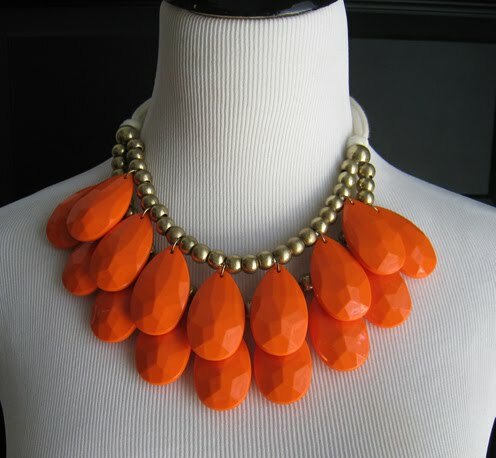 I love, love, love this orange statement necklace from Queen of the Tailgate - pair it with orange shorts, a white tank, and you're gameday ready! Statement necklaces aren't the only hot trend - you can also 'wow' with arm candy, a.k.a. bracelets. 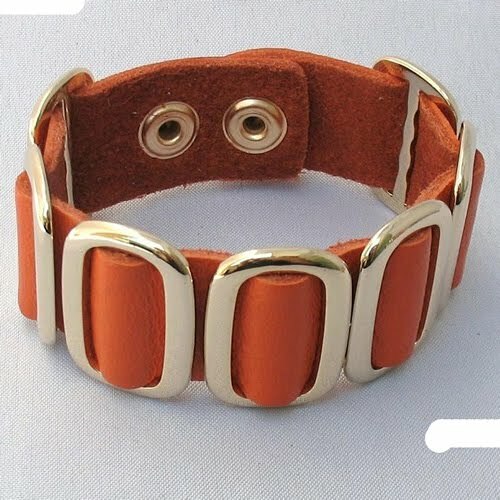 Stack them...mix and match them... this orange, leather cuff bracelet from Queen of the Tailgate is a great start. Queen of the Tailgate would like to give one very lucky Clemson Girl reader a $25 gift certificate to shop their online boutique. This is a great way to kick start your gameday shopping. Deadline for all entries is tonight, July 12, at 7:00pm EST. We will compile all of your entries, randomly draw a winner, and announce the winner back on the blog soon after. The winner has 48 hours to email us to claim their prize or we will draw a new winner. Special thanks to Queen of the Tailgate for sponsoring such a great giveaway today! Hannah E., from Greenville, SC. Clemson '11 Alum! Orally these dresses are so cute! Stephanie H. Clemson, SC c/o 2011! I could totally spend my entire paycheck on this stuff . . . every time I get paid! Sarah Beth Thompson, Greenville SC! GO TIGERS! Just found this website while Google searching Clemson items. I like it.